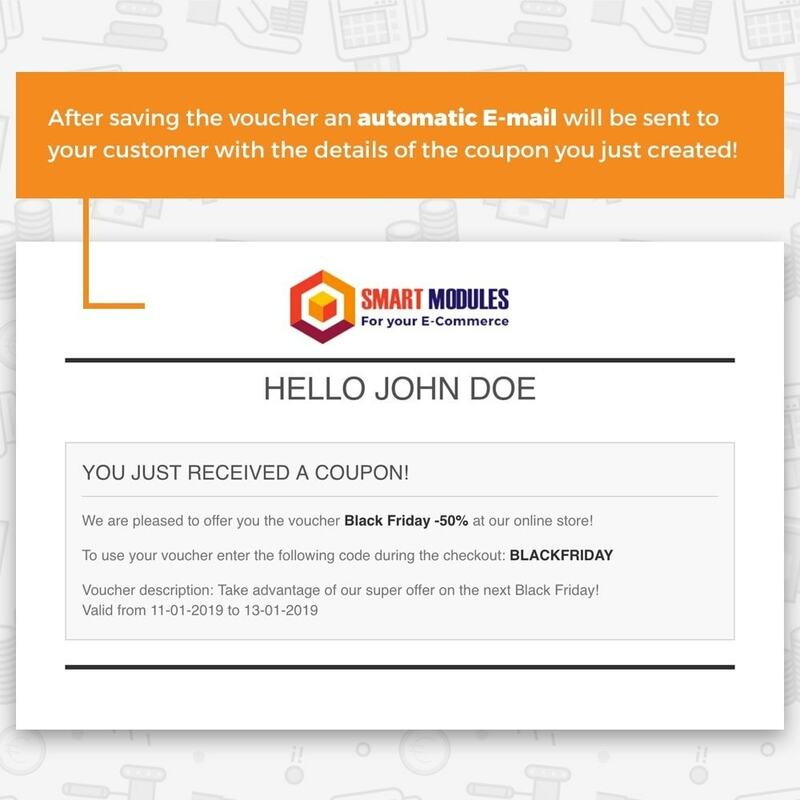 Immediately communicate the creation of a voucher to your customers! Increase your sales and incentivize the purchase of your products through dedicated discount coupons: with this form your customers will immediately receive their voucher to spend on your online site! The module does not need any configuration. 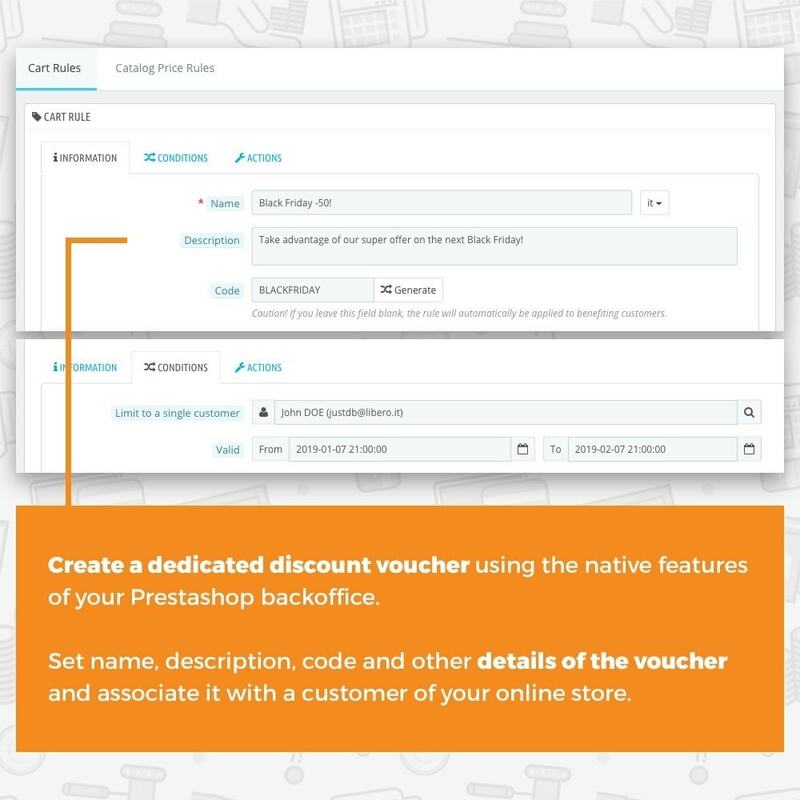 By creating a dedicated discount voucher using the standard features of the Prestashop backoffice, an E-mail will be sent to the customer with the details of the voucher. 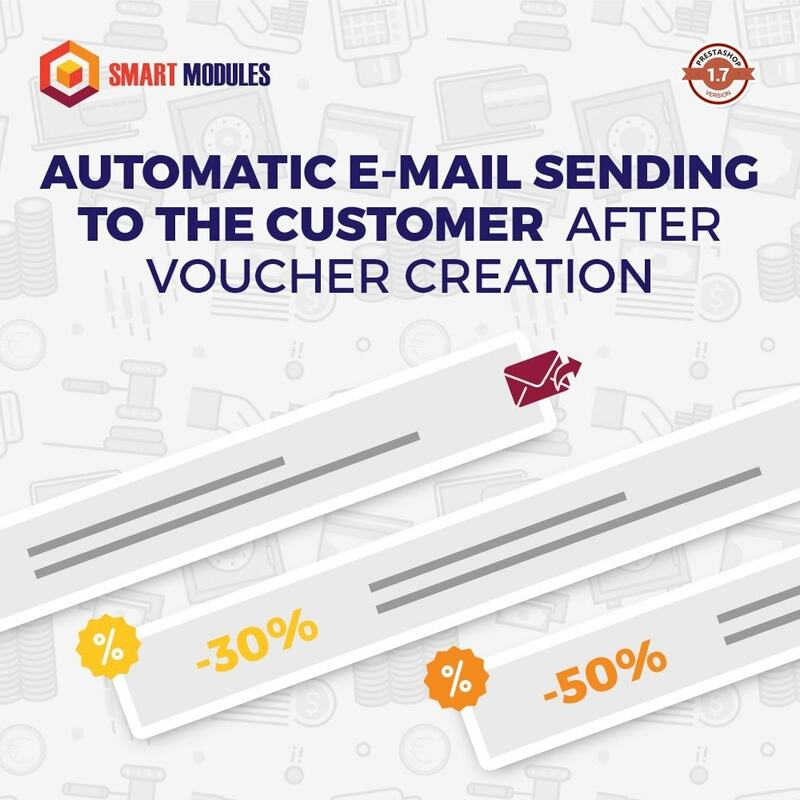 Your customers will immediately receive their voucher through an easy automatic e-mail with all the details of the discount voucher just created! For informations on the installation and configuration process of the module contact us through the Prestashop Addons support page. Put files on your server by sending your files through FTP or with the Add module button in your back office. Then click on the Install button in the Modules administration page. The module displays a block with a list of products by the same manufacturer (brand) in the displayed product detail page with many customizations.